A boy found hanged in his bedroom had unclear intentions, a coroner has said. Asad Khan, 11, a pupil at Bradford's Beckfoot Upper Heaton School, was found by his mother at the family home on Tile Street, on 28 September. Delivering a narrative conclusion, coroner Martin Fleming said there was no evidence to back up his parents' claims he was being bullied. 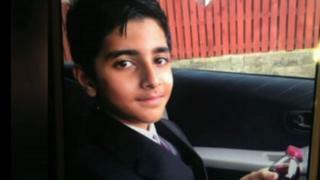 Following the ruling, Asad's family criticised the "serious failure" of the inquest. Their solicitor Ruth Bundey said in statement that the family would be taking matters further "by way of judicial complaint". She added: "The family's loss of their son remains heartrendingly more acute due to the serious failure of this inquest to examine all the available and relevant background." Asad's parents believe he was being bullied and had also raised concerns about a choking game at the school. In a statement read the family, who were not in court during the inquest, said Asad's parents felt "as though throughout they have been put on trial rather than treated with any respect as bereaved parents". It added that the family had been left "entirely disappointed with the whole proceedings and its outcome". The family walked out of an pre-inquest hearing over concerns about what evidence would be heard. In a statement read at an earlier hearing the family said that they had been concerned about the school - which was Asad's fifth choice - because they heard it was notorious for bullying. The inquest was told that a police investigation did not find any evidence of bullying. Mr Fleming said "we must disentangle rumour and speculation from facts". He said: There were no notes, there was no self harm. Had Asad been bullied he had many opportunities to raise it at home, school or the mosque. "There is nothing to suggest that the school overlooked bullying." The coroner added: "Although it's more likely than not he put himself in this position, his intention remains unclear." In a statement, Beckfoot Upper Heaton School described Asad as "quiet, polite, hard-working and enthusiastic". "Our thoughts will always remain with Asad's family because their loss is immeasurable and enduring."